Are you binding with work-life integration concept yet? We are in the era where professionals blend what we do personally and professionally in order to make both work. Great project can be completed at home and chilled moment can be happened many times at the office. As long as we have self-management to perform the best and can do personal activities to break up our days, we can always balance our life and work anywhere we feel like. I love physical exercise and I can do it at Titansoft! The lining up activities repeatedly awaken my willing to become a better ME! 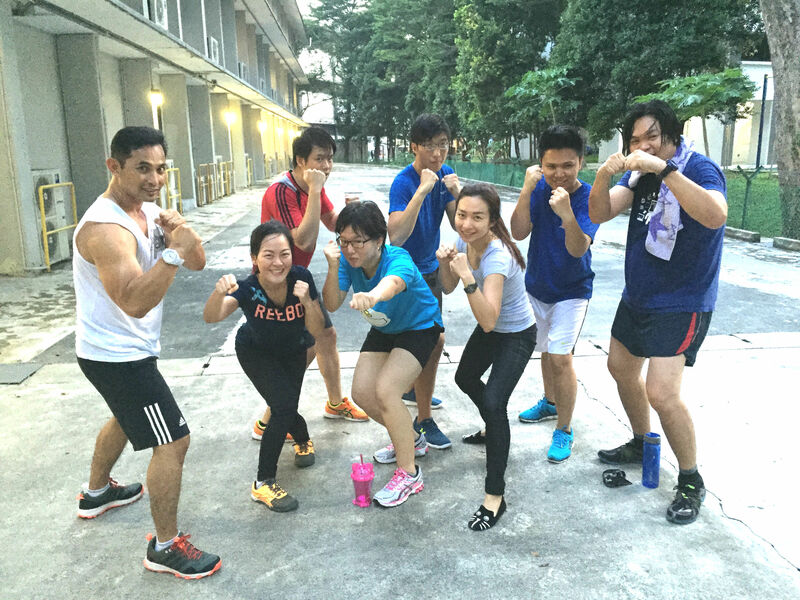 Our Titansoft Social Committee has prepared various Workplace Health Program throughout the year; starting from making a yoghurt parfait and creating an easy snack, recapping communication gap and learning hypertension, to ABT workout and HIIT! Activities are arranged in advance, as well as, the fact that our company applies the concept of flexible working hour, so that we can always make time for ourselves. Imagine how easy our life could be by just managing our work properly and all miscellaneous stuffs are set for us with no cost! Have you ever tried Boxercise? Tried once and tell me how much sweat your body oozes out? Basically, this exercise is based on the training concepts boxers use to keep fit. Since anyone with different fitness standard can enjoy the class without an opponent to get hurt, my colleagues and I burnt extra calories by boxing, hitting pads and sitting-up. The trainer was kind enough to give short breaks from time to time. We took gulps of water to replace lots of sweat our bodies heavily produced during this cardiovascular fitness. Every single sweat pore functioned well particularly on that one hour session! Thanks to boxercise! Middle of October already and we have only 2 months to get in shape! Wouldn’t you smile proudly (and secretly :D) when receiving compliments about your best appearance? By registering to the rest of 2015 activities like “Fitboxing” together with attending “Eat well, Eat simple” workshop, we are getting well prepared to meet our long lost friends, gather with family members, and eat out with in-law. Bonus point is that we have extra room at our smaller belly for the festive meals. Last but not least, I believe that work should not be a barrier, instead work should be a vehicle for us to see the world and to see ourselves in many different perspectives. I was not able to understand the quote of “If you love what you do, you will never work a single day in your life.” But after working at Titansoft for a while, I feel like each day I just go to meet my dear friends at the place where people love what they do. This entry was posted in Titansoft Culture and tagged TIME MANAGEMENT, Titansoft Activity, Titansoft Culture on October 15, 2015 by E.T. Girl.